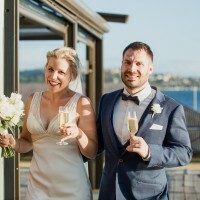 This stunning Jennifer Regan wedding gown was based on the Lily style, but adapted for the bride with a lace v-neck line. 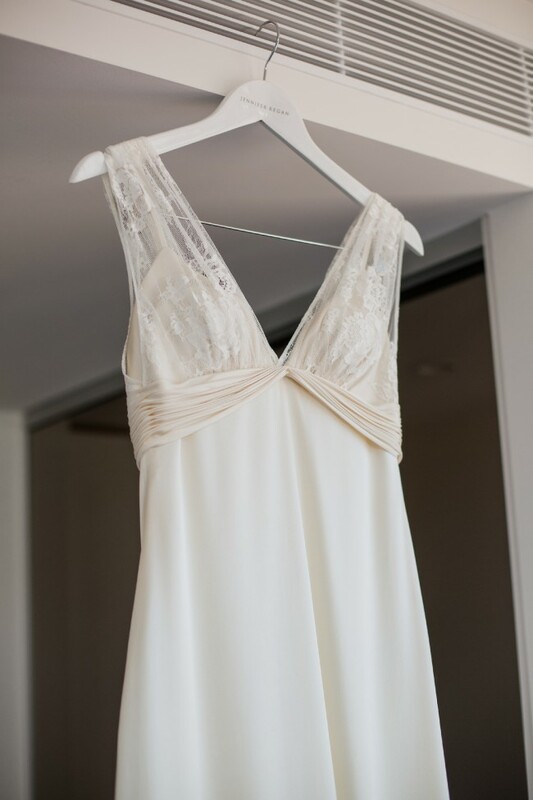 The ivory colour is luxurious and the silk allows the gown to flow off the body. My height is 165cm and the dress is a size 10. Happy to answer any questions. Dry cleaned.